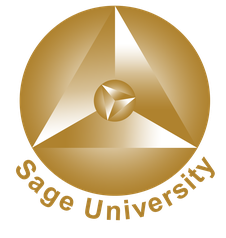 Sage University was founded in 1995 as the first complete education source for free agent entrepreneurs. More than 50,000 clients have attended our courses and started up exciting seed projects that changed their lives and their careers. If you want to achieve interpersonal fulfillment along with your success you have come to the right place. Every man and woman has a precious gift to share with humanity. By discovering your hidden talents and doing what you love for a living, you will develop the skills to achieve success in your field. We provide an open learning system by conducting projects together with you. Each student learns by contributing to others. You begin earning right away by sharing your newfound skills with your project teams. When you enroll you join a worldwide network of free agent entrepreneurs that use the latest coaching and training skills to forge bonds that create partnerships with like-minded people. Sage University provides a low-cost, high quality business education. You learn the fundamental skills necessary to owning and operating your own business. When it is time to design, serve, sell, or negotiate, you will create the scripts and the information to present your services in a highly professional manner. Our courses utilize curious inquiry, behavioral rehearsal and role-play so that you can enjoy learning by doing. Our culture is based on coaching and training processes that develop curiosity along with knowledge. The combination of aliveness and business skills enables students to develop real-world skills to create a fulfilling career path. Superior people skills make the difference between a good career and a great one. When you can engage people fully, you can achieve prosperity over the span of your career. We have pioneered a highly effective coaching/training model that contributes to an enthusiastic learning experience. Sage University is the first global university to offer this essential combination of competencies, along with both online and classroom options to support you step-by-step. Our positive approach will enhance your self esteem and inspire you to follow your heart. The Agricultural Age and the Industrial Age is creating fewer lucrative jobs. Society is entering a new Service Era in which people earn their living by providing tangible value to their fellow human beings. You are a unique individual, so your career shouldn't look like anyone else's. So we conduct seed projects with you to help you grow a fulfilling business that requires minimal investment. Lean start-ups require initiative and ingenuity. Our curriculum aims to develop these qualities.